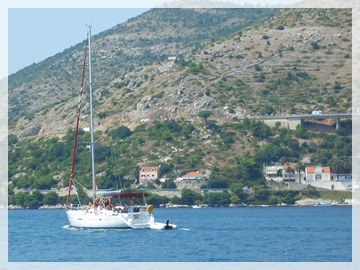 In Croatia you have a great range of choice for chartering sailing boats, yachts, catamarans or speed boats. Croatia is a nautical country with an old tradition. Along the beautiful Adriatic Sea there are a lot of small towns, more then 1.200 islands and islets, and almost 6.000 km of coastal line. Along the Croatian Adriatic coast there are many marinas which offer a chance for people to keep their boat in a safe place from the strong winds of the Adriatic. Majority of marinas in Croatia are used for boats own by local sailors and in most cases also for charter fleets from various companies. From the point of view of a yacht charter company, the facilities and the position of the marina is of course very important in relation to choosing your companies charter base. Charter bases in Croatia are following: ACI Marina Split, Marina Kaštela, ACI Marina Dubrovnik and ACI Marina Trogir. Charter boats have to be returned in the same marina they were rented in. There are two main kind of charter: bareboat and crewed. If you are a first timer booker of a sailing boat in Croatia, you of course need to be aware of the formal requirements for chartering a yacht in Croatia, no need to say that a licence for operating the vessel is required. Additionally, sailing and navigation skills should be on adequate level. Just picture yourself cruising crisp clear Croatian Adriatic, sunbathing on deck of classic wooden yacht, surrounded by friendly atmosphere, having delicious cuisine, enjoying quality wines, visiting heavenly beaches, lavender smell bays, unique islands covered with old olive trees and historic towns (some are older than 3000 years). Families or groups of friends can book their own private yacht for holidays, honeymoons, anniversaries and other happy occasions. A cruise onboard the yacht is a perfect way to praise your corporate management and/or successful selling team. 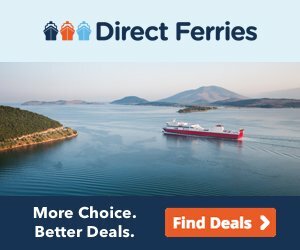 This dream cruise could be a platform for corporate trainings, team buildings, seminars, board meetings, conferences, marketing events, incentives etc.